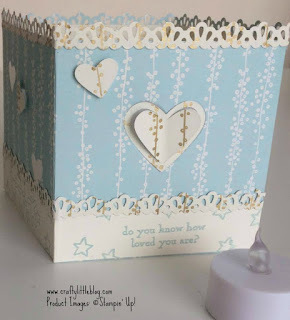 So this month's birthstone inspired challenge from the Joy of Sets Facebook Group is all about Sapphire so we were looking at something blue. 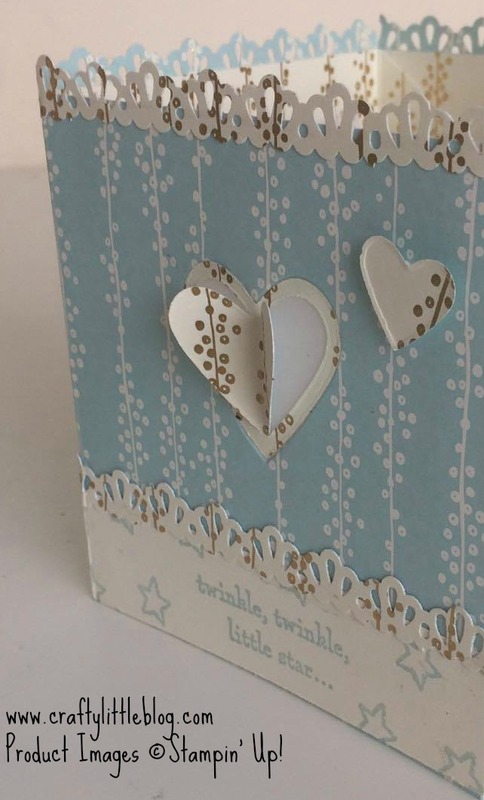 I decided to go with a real baby blue and make something suitable for a little one born this month. 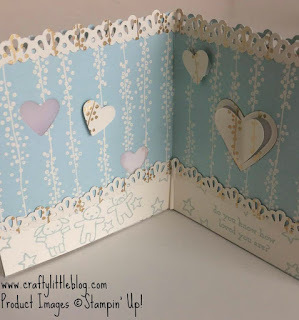 I really pushed the boat out for novice card maker me and made this cute card using Soft Sky cardstock and ink, Moon Baby stamp set, dies from the retired Love Notes Framelits set and the gorgeous Bundle of Love DSP stack. 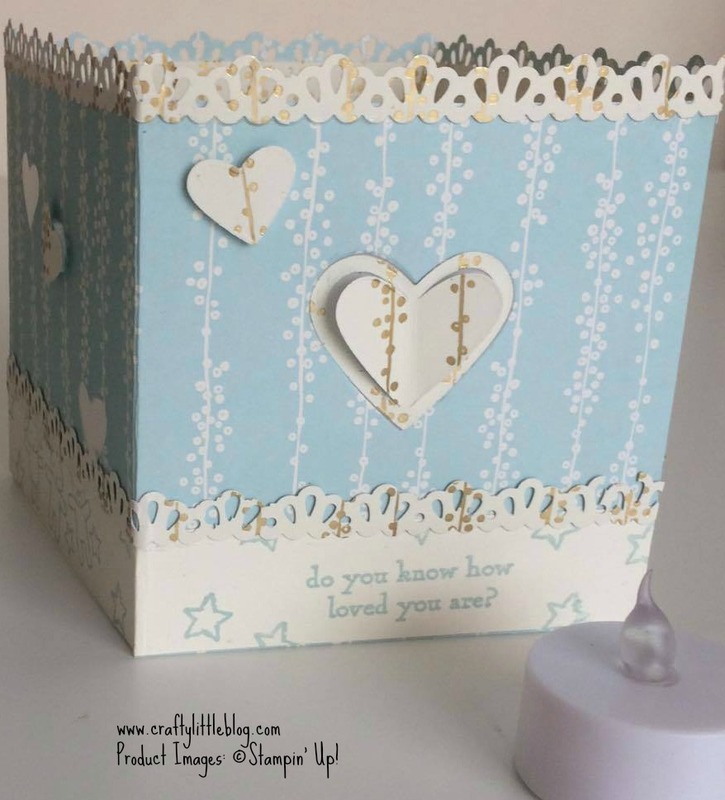 Not only is this a card but it opens out to form a box which you could easily pop some battery operated fairly lights or tea light into and use as a little cute lamp in a nursery. I lined the whole thing with vellum to give a nice soft glow. I used a couple of the cut out hearts to just randomly dot around on the outside of the card with dimensionals to add a little something more to this very simple card and also used some of the DSP and the ribbon edger punch to create this gorgeous ribbon trim at the top and bottom. This will throw off a lovely pattern when it's dark and the light is on inside. 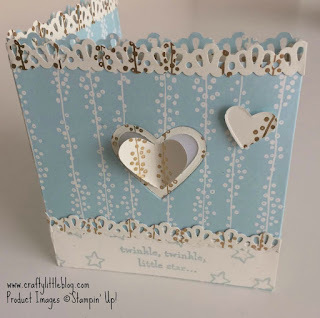 When I do the tutorial for this I think I'll use a few more little hearts to stick around as I think it just needs more, maybe even a few cut from gold foil or gold glimmer papers to catch and reflect light. 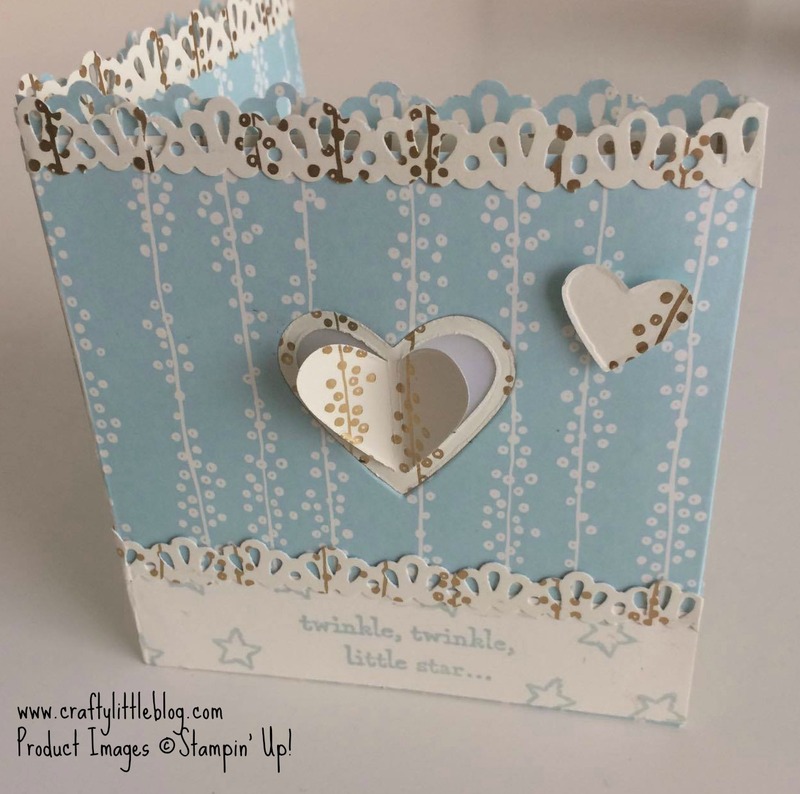 The dimensions of each side are 4 x 4 inches and I made it in two parts using one 8 x 4 inch piece and one 9 x 4 inch piece which I scored half an each of at each end to use to fold over and glue the other half of the card to. 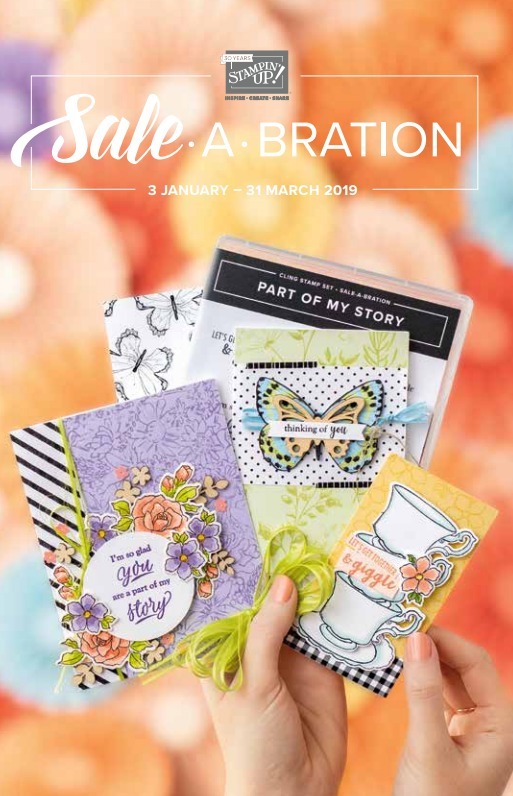 I made each piece independently and then glued together as the final step, taking care to notch in the joining flap so that the card wasn't too bulky at the join. 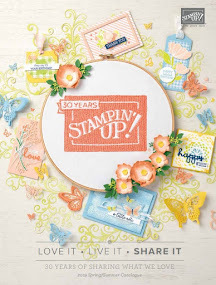 It's all glued together using Tombow liquid glue which really helped to slide those ribbon sections into place. 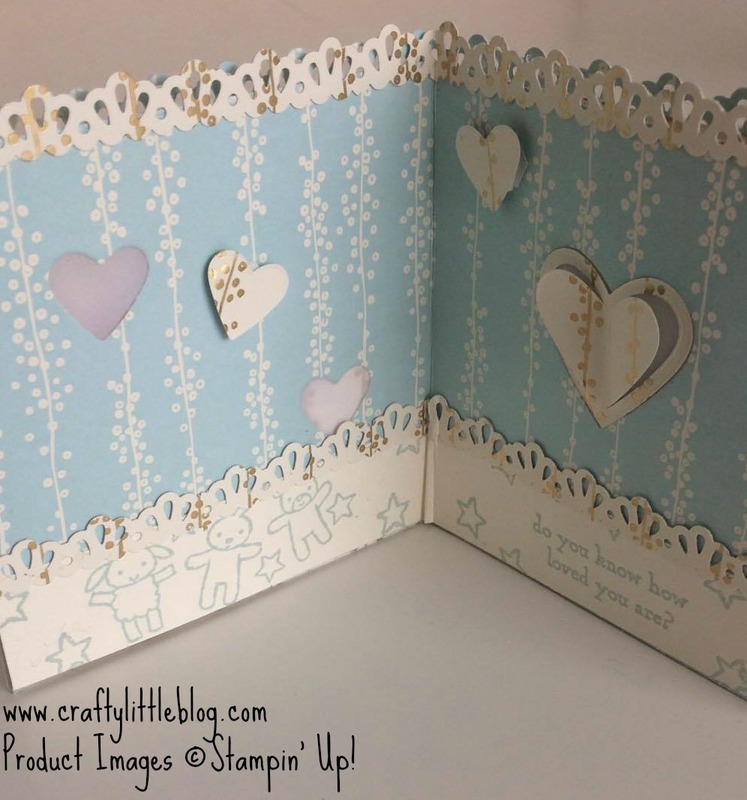 I used Very Vanilla cardstock stamped with Soft Sky for the band along the bottom to add those cute little pictures and phrases from the Moon Baby set. 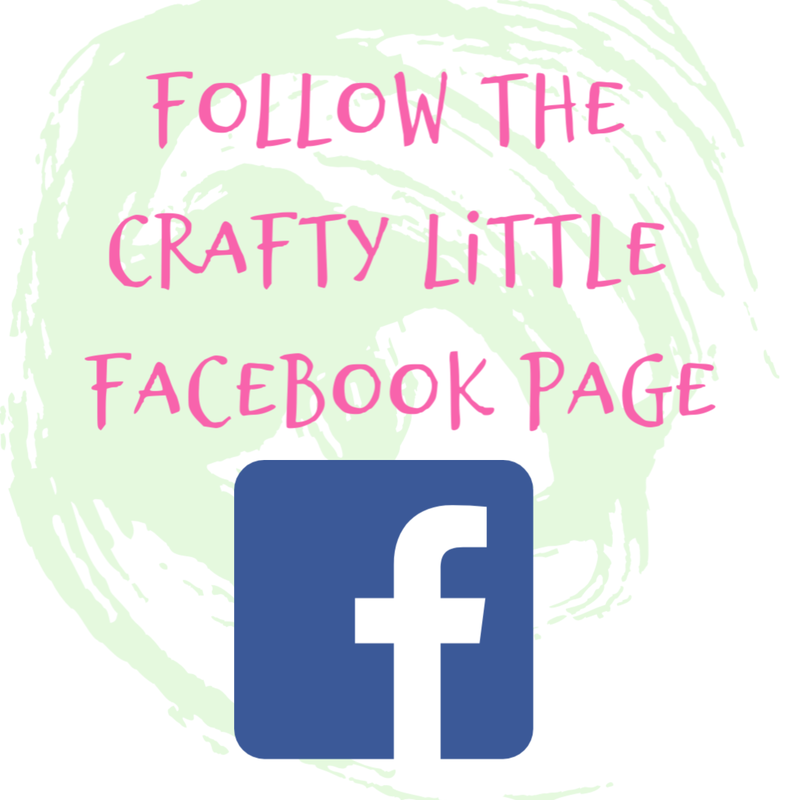 Hope you like it and if you do want to see how it was made I will be uploading a tutorial very soon making a pink girlie version and also a Halloween lantern version so watch out for those. 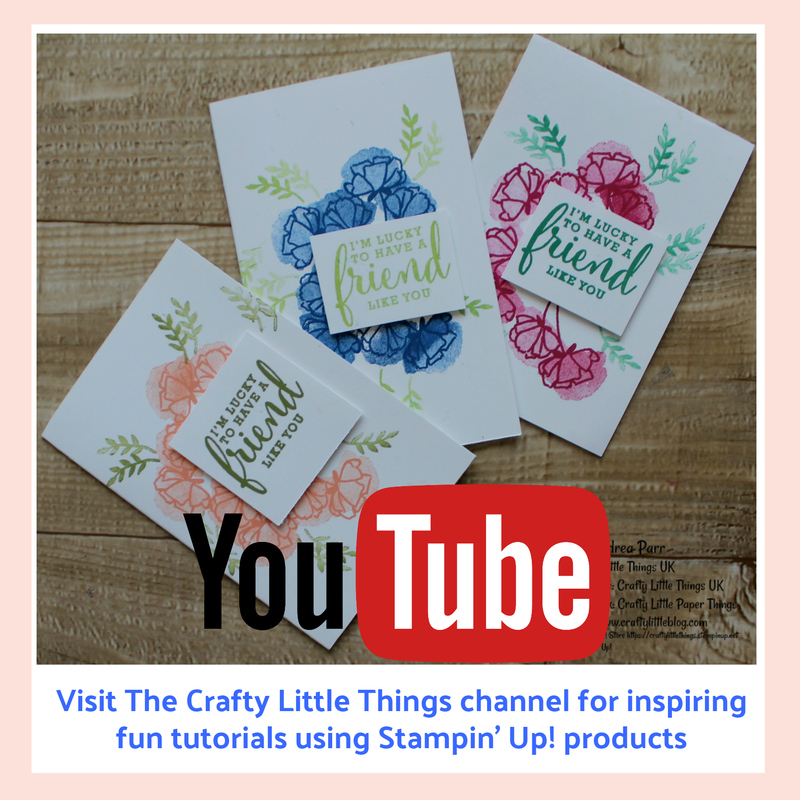 I have a stack of tutorials to upload to my You Tube channel which is the top of my to do list for next week so they will be coming soon. 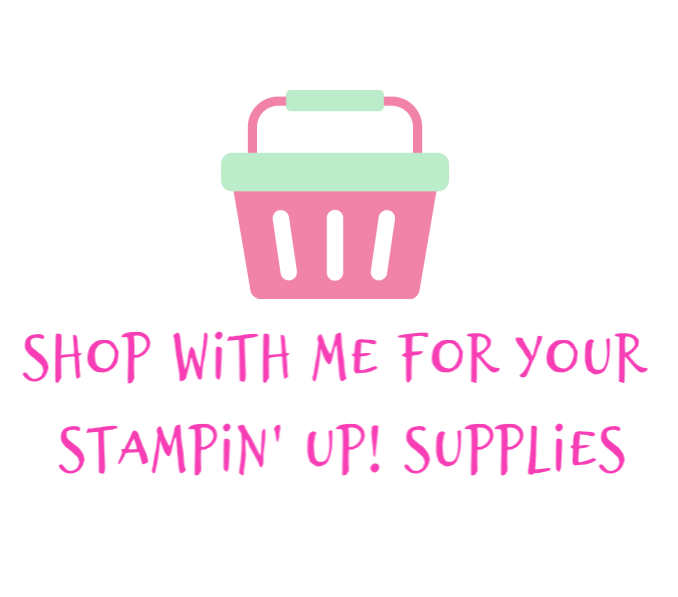 I've listed everything used below so please click if you want to buy anything and you'll be whisked off to my online Stampin' Up! 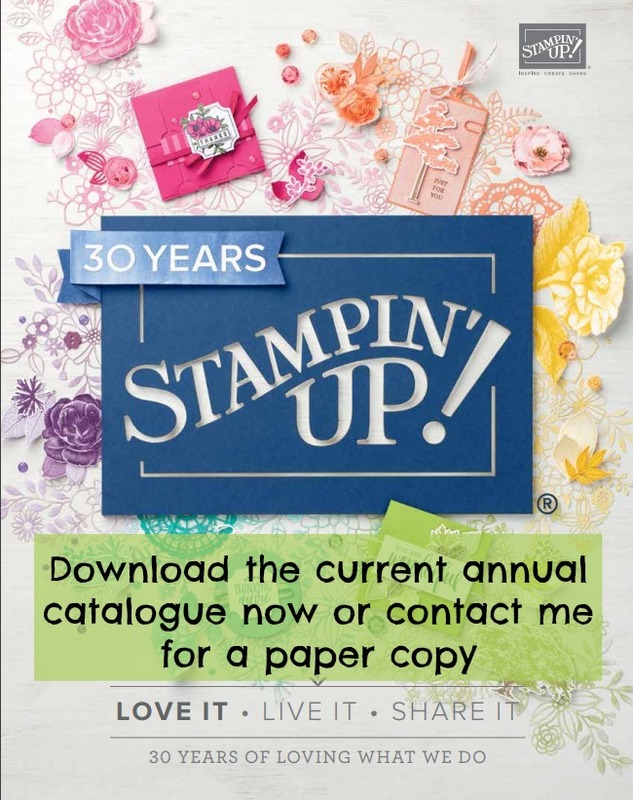 store and let me know in the comments or via email if you have any questions or need any help with anything Stampin' Up! related. Thanks for dropping in as always and please do go and visit the site to check out all of the other entries or to enter yourself.